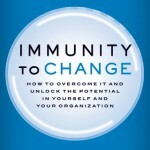 Why is it so hard to sustain substantial long-term change for the better both in my personal life (e.g., losing weight) or in an organization? 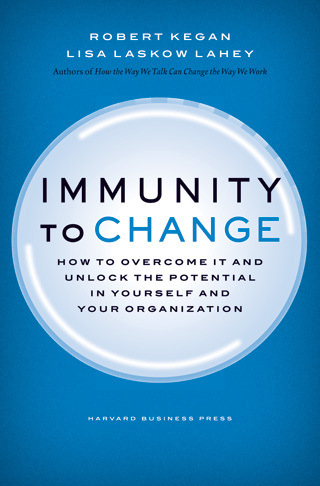 In the book Immunity to Change, Robert Kegan and Lisa Laskow Lahey tackle that question head-on with scientific research and well documented solutions that bring you to a place of much greater empowerment. They do this by unpacking a very simple concept at first glance, namely that every time you say “yes” to something new you are also saying “no” to something else, whether you realize what that is or not. Often when you start feeling the loss of the ‘other’ thing(s) you start to waiver in your commitment to the change and slide back into your familiar ways. The authors walk you through a four-step process of clearly articulating your goals, then the challenges and then the things you embrace that are counteracting those goals. Just making these conscious, in and of itself, is a significant step forward for many but then they take you a step further in step four and ask you to begin to evaluate what your underlying assumptions are that are driving your ingrained behaviour. This would be very difficult to do if you hadn’t already gone through the previous steps. When we start to see more clearly our big assumptions we can then begin to call their bluff: “Is this really an accurate assumption?” They then suggest designing small, low-risk tests of those assumptions to see if you can discover more truth about them. This curious approach really appeals to me and smacks of what Jesus may have been getting at when He stated that we need to become like little children in order to get into the kingdom of God. If the truth of the assumptions starts to break down in the experimentations, and often they do, you can now modify the underlying assumptions you are living your life by, and lo and behold, this now opens the door for long-term sustainable changes in a positive direction. Looking at organizations we see a similar phenomenon; there are certain unspoken and unwritten rules within organizations that are based on assumptions held by the most influential people within the organization that dictate how things get done. When these assumptions are uncovered and challenged for their truthfulness and viability, often better assumptions can emerge and the people involved grow and this enables the organization to thrive. It’s not a process that is without pain and tension, both organizationally and personally, but then real growth never really is; “no pain, no gain”, as the saying goes. This is a somewhat simplified explanation of the basic concepts of the book and I do highly recommend reading it to fill in more of the details and to lead to greater insightful understanding. For those who like watching someone explain it, Robert Kegan does a nice job of it in a few brief minutes on YouTube. Or if you are more of a reader like me, get the book – it’s well worth the read. 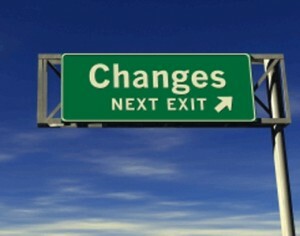 But beyond that, start making the changes you want to make in your life. 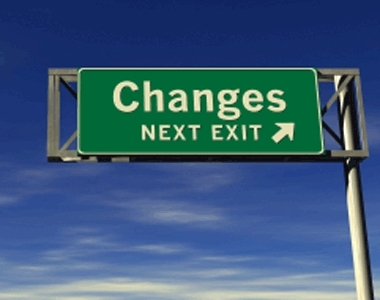 An excellent way to work through change is to sign up for the CREST journey. We’ll help you deal with the very things Dr. Kegan talks about in his book. Click HERE to see your options with CREST.